To me, there is nothing better than watermelon in the summer (or really any time). I added a little extra to mine and it seems like the perfect marriage! 1. I don’t know why I’m writing instructions- this is the easiest recipe. 2. Cut Feta into about 1/4 inch cubes. 3. 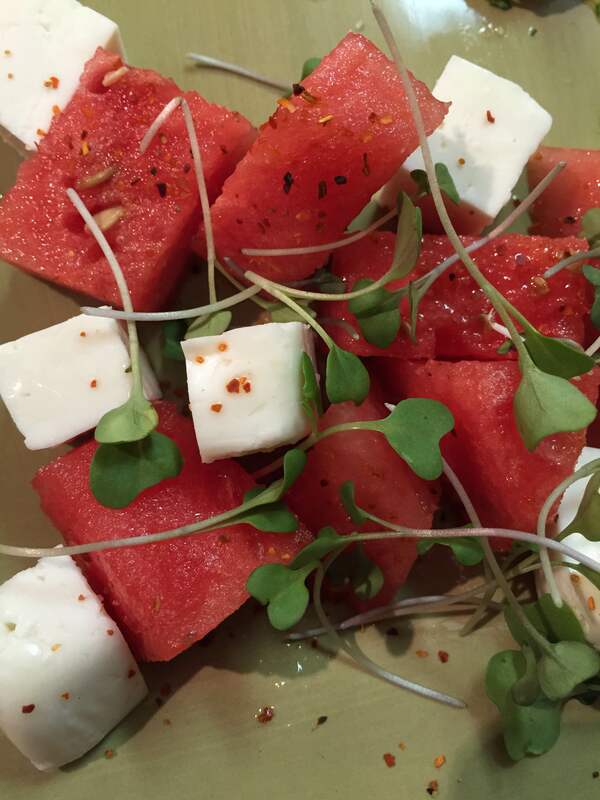 Combine Feta, Watermelon, Seasoning and Micro Greens.